Kevin Smith Transportation Group is a Luxury Transportation company that services the entire Greater Philadelphia, PA area. KSTG delivers services daily in Bucks, Chester, Delaware, Perkiomen and Philadelphia counties. This includes more than 300 cities, towns, boroughs and Morelands across the area. One of the places a KSTG vehicle will regularly service is Perkiomen Township, PA.
Kevin Smith Transportation Group delivers both Leisure and Corporate Transportation services in Perkiomen Township, PA. KSTG’s Leisure division will often be seen sending out a Wedding Limo or Wedding Shuttle on most weekends. Service requests for a Limo or Party Bus for a Night on the Town or a trip to Philadelphia, PA for a concert or show is very common and popular for those who live in Perkiomen Township, PA. The exciting requests for a Party Bus to the Manhattan Cruise Terminal or a night out at the casinos makes for a great night. If you are fortunate enough to work for one of the amazing companies in Perkiomen Township, PA, then you may require the services of Kevin Smith Transportation Group and our Corporate Transportation division. Airport Transportation is a common service request with Philadelphia International Airport (PHL) located so close to Perkiomen Township, PA. However, with nearly a dozen International Airports in the Mid-Atlantic area, many companies will utilize KSTG’s services for Airport Transportation to Newark International (EWR), Kennedy Airport (JFK) or other points north or south of the Philadelphia, PA area. Other Corporate Transportation services that Kevin Smith Transportation Group offers companies in Perkiomen Township, PA include Shuttle Services. This may be needed for moving employees to local SEPTA stations for both their morning commute and returning home in the evening. KSTH Sprinters and Mini Buses are popular vehicles for this service. Some companies, with offices or clients around the country, often have employees traveling through local FBO’s. When Private Aviation is utilized, KSTG Cadillac XTS’s and Black Yukon’s are often seen transferring employees from their offices in Perkiomen Township, PA to those local FBO’s including Northeast Philadelphia Airport, Doylestown Airport and Wings Field. Many companies in Perkiomen Township, PA have been pushed by their Senior Management or Counsel’s office to follow strict Duty of Care requirements with their employees. This means that the days of using an unregulated Black Car Service for Corporate Transportation services is no longer allowed. For Kevin Smith Transportation Group, this means that our Black Car Service division, including our fleet of Cadillac XTS’s, Black Yukons and Black Infiniti’s, are regular visitors to Perkiomen Township, PA.
Perkiomen Township, PA is a township in Montgomery County, PA. The township population is estimated at 9,139, which represents a 28.8% increase from the 2000 total of 7,093 residents. Governmentally, it is a township of the second class, governed by a board of supervisors. It is part of the Perkiomen Valley School District. 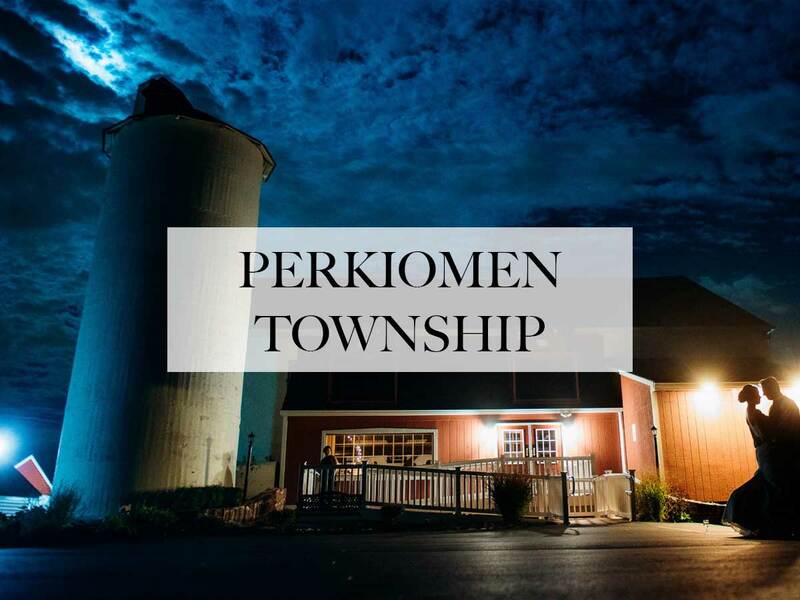 Perkiomen Township includes an abundance of history that goes as far back as to the first tribes who inhabited the area. This township started with the inhabitants of the Lenni-Lenape Tribe and progressed in many ways into what it is today. The Perkiomen Valley was first inhabited by the Lenni-Lenape Tribe and was declared The Commonwealth of Pennsylvania on March 4, 1681 by King Charles II of England. The Perkiomen Valley provided the colonists and the Native Americans a rich place to grow crops and livestock, which would later feed the troops during the Revolutionary War. George Washington’s troops rested in the Perkiomen Valley in a place called Valley Forge on their way to defeat the British and gain their autonomy over the thirteen colonies. In 1720, the first copper mine in Pennsylvania was located near Schwenksville. One of the famous men that lived in the Perkiomen Valley was John James Audubon, a French-American ornithologist noted for his paintings and drawings of birds. In 1784, Montgomery County was formed with land that was previously owned by the city of Philadelphia. Nearly a century later in 1879 Limerick Township was created and in 1886 the Skippack and Perkiomen Townships split into Skippack Township and Perkiomen Township. The Perkiomen Township later split into two different townships called Lower Perkiomen Township and Upper Perkiomen Township. Collegeville and Trappe are two towns in Montgomery County that were purchased by Ursinus College in 1869 and was later included in Upper Providence Township in 1896. In 1903, the Schwenksville Borough was incorporated into the Perkiomen Township. In the latest census that was taken, nearly 59,000 people lived in the Perkiomen Valley. Limerick Township contains the Nuclear Power Plant that produces electricity for the Perkiomen Valley and is owned by a company called PECO. Many businesses that are looking at expanding to the suburbs of Philadelphia look towards the Perkiomen Valley as it is one of the major areas that are rapidly developing into a powerhouse of the suburbs of Philadelphia. The Perkiomen Watershed Conservancy at 362-square miles is a part of the Schuylkill River watershed. A watershed is a drainage basin that collects surface water from other running bodies of water. The Perkiomen Watershed plays a part in the Perkiomen Valley by creating a water system for this area. The entire team at Kevin Smith Transportation Group is proud of our partnership with every company, venue and person from Perkiomen Township, PA who chooses KSTG as their #1 Transportation Company. We believe our priorities around luxury helps us deliver our services for everything from a once in a lifetime Wedding celebration to supporting our Corporate clients who require use of our Shuttles and Sprinters for a company event. With Perkiomen Township, PA and KSTG working together, we are confident KSTG vehicles will continue to support the entire area for years to come.